Ramen noodle lovers, this one’s for you. Many know Terry and Solon Wong, from their family restaurant, Eros Asian Eatery. 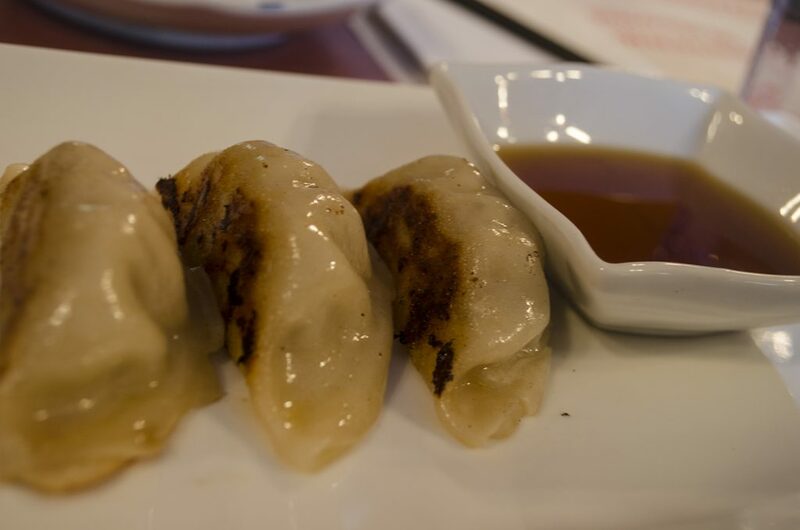 What the brotehrs kept secret was that for the last year and a half, they have been working hard to perfect an ancient, traditional Japanese dish. All that hard work will be made public Friday, May 2, 2014, as they open the doors to their pop-up restaurant, Kagerou Ramen House. The pop-up will be located within their family business, however, when the Eros menus are put away at 7:00pm each Friday, they will be replaced with a simple one featuring ramen noodles. WindsorEats had an exclusive sneak peek (and taste) of the menu. 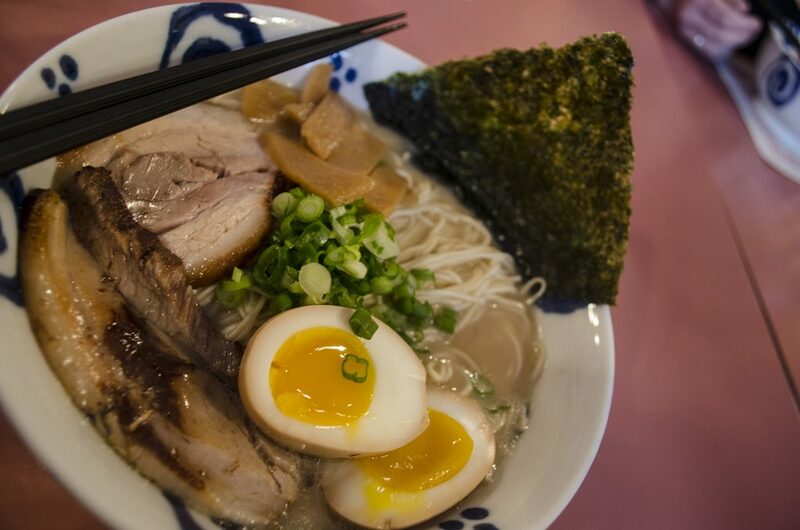 This week Kagerou Ramen House will showcase pork based ramen, a Shio Ramen, which is mild, creamy and seasoned with salt, and a Shoyu Ramen with a robust broth seasoned with soy sauce. Our entire table loved the creaminess of the broth. To prepare the broth, Terry and his brother boil it, along with the pork bones, over two days. He says that allows his broth to become creamier and mostly white in colour as the bone marrow seeps into the broth. 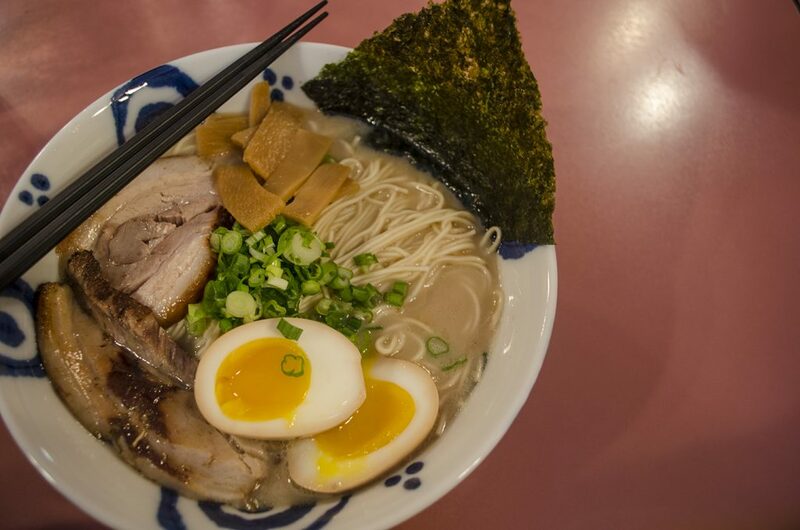 This week, Kagerou Ramen House offers two types of noodle: a traditional noodle for pork bone broth which is a straight, authentic white noodle and a Tokyo style noodle, which is a yellow, egg noodle. Next week they will feature a Tokyo style ramen, which is a chicken based broth and Tokyo style ramen egg noodle. Terry also mentions that there is a possibility there will be different ramen flavours each week. For our dishes, Terry also offered a drizzling of black garlic oil. He recommends trying the ramen without the oil first, adding after your first few tastes. He says this allows you to have two experiences in one dish. Many people will look at the photos of the dish and simply say, ‘that looks like Pho. What’s the difference?’ Well, for one, Pho is Vietnamese and Ramen is Japanese. That’s kind of a big difference. Second, Terry explains that a key difference is a lot of spice is used in making Pho: cinnamon, clove, garlic and onions among others. Ramen, like the style for this week, is just pork bone and vegetable. Terry also offered some advice on the traditional way to eat ramen. The reason, Terry says, is that when the noodle is soaking in the broth for so long, it affects its texture. The Kagerou Ramen House will open their doors to the public every Friday at 7:15pm through to 10:00pm, starting May 2, 2014.